Justin Luey and I recap the 2011 WWDC Keynote on Episode 40 of The iPhone Podcast. There’s even chatter about iOS 5 beta and what it means for iPad users. Listen in, and be sure to subscribe! For those looking for some of the latest iPad and iPhone OS discussion, be sure to check out The iPhone Podcast, our newest podcast that is burning up the charts in iTunes Canada. 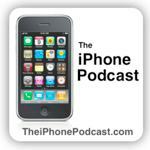 Hosted by Justin Luey and myself, we cover the latest iPhone and iPad news.